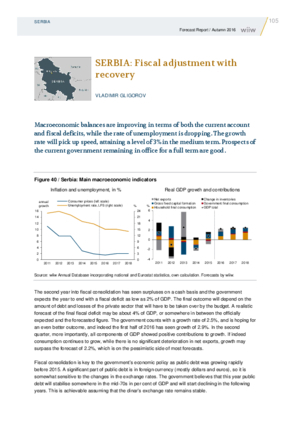 Macroeconomic balances are improving in terms of both the current account and fiscal deficits, while the rate of unemployment is dropping. The growth rate will pick up speed, attaining a level of 3% in the medium term. Prospects of the current government remaining in office for a full term are good.